A few weeks back I gave you some ideas for great cheese pairings, but today I want to go beyond pairing cheese with other food, and talk about pairing cheese with wine! Because cheese and wine are best friends. Wine and cheese go so well together because they are both aged products made from living cultures, and they contrast each other so well. The saltiness and creaminess of cheese is a good compliment to the acidity in wine. When in doubt, pair cheese with white wine. White wines tend to have less tannin than red wines, meaning they are less bitter. Bitterness tends not to go well with creaminess, and since most cheeses are creamy, whites tend to pair better. If you must serve a red wine, pick a light or aged red. 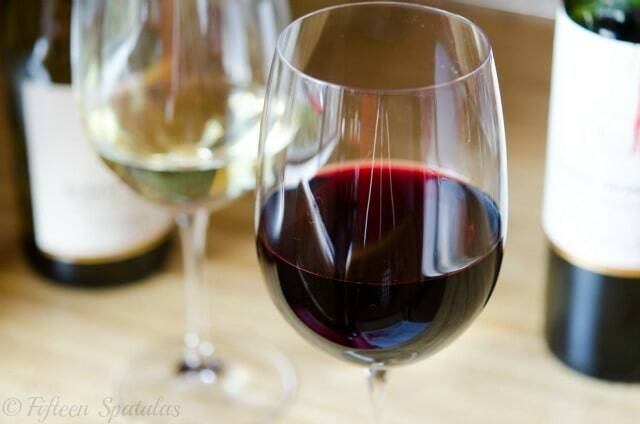 A lighter red wine will have less tannin, as will an aged red wine, since tannin dissipates over time. A pinot noir is typically a safe bet for a cheese-pairing red. Match the body of the cheese to the wine. Just as you wouldn’t serve a heavy, dark red with a light, delicate fish, serve lighter wines with lighter cheeses, and heavier wines with strongly flavored cheeses, so they can stand up to each other and play harmoniously on your palate. Feel free to pick fruity wines. Think of how wonderfully fruits go with cheese. Not just fresh fruits like strawberries, grapes, or apples, but also fruit jams and spreads. Take a look at a few bottles and see what the flavor notes are, and if they have appealing fruit notes on them like berries or citrus, try them with some cheese! Step #1: Sniff. Aroma is such a huge part of taste, so start by giving yourself a preview of what you can expect by taking a good whiff of the cheese. Does it smell earthy, fruity, or sharp? Step #3: Slice. You can also get a feel for the age of a cheese by how easily it slices. A young cheddar will slice much easier than an aged cheddar, and this applies to a lot of cheeses. 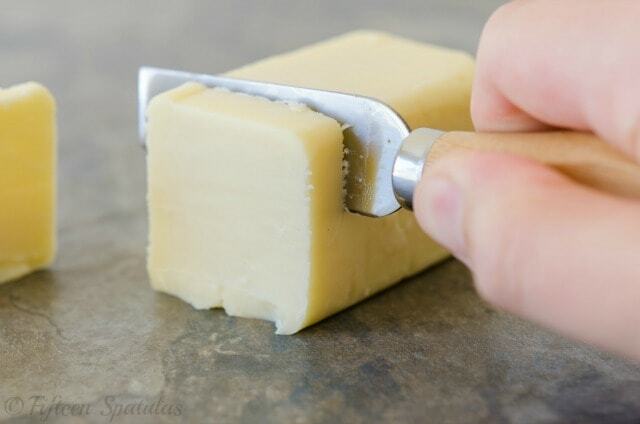 Think how difficult it is to slice through a 2 year aged Parmesan! Step #4: Smoosh to learn about texture. 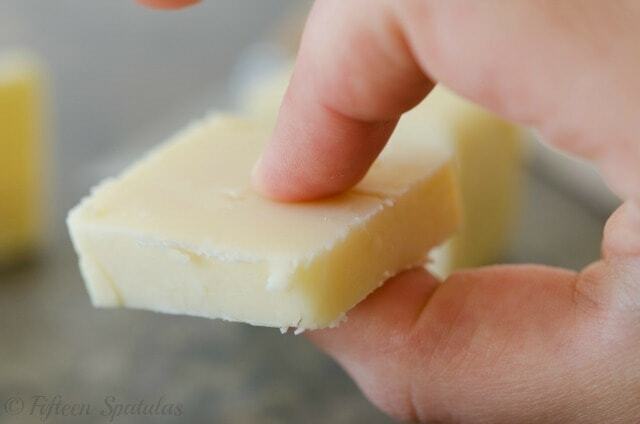 Take your slice of cheese and give it a pinch between your thumb and index finger. If it feels springy, it’s a young cheddar, whereas an aged cheddar will feel crumbly in between your fingers. Step #5: Taste. Note how the cheese tastes and feels. Which of the five flavor sensations does it satisfy? Salty, sweet, sour, bitter, or umami? 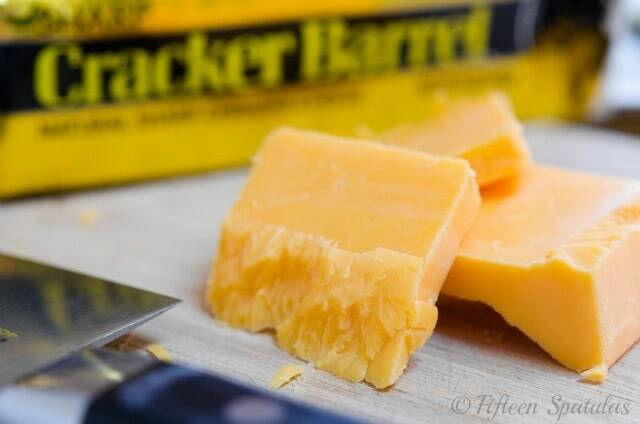 Cracker Barrel’s Aged Reserve has a rich, full flavor with earthy mushroom notes, whereas one of their younger cheddars has a cleaner dairy flavor. Also, how does the texture feel when you eat it? Is it smooth, crumbly, or stringy? Here’s a summary you can click and print if you want to host a cheese tasting at your next party! PS If you’re looking for more cheese pairing ideas, here’s the post I did a few weeks back. 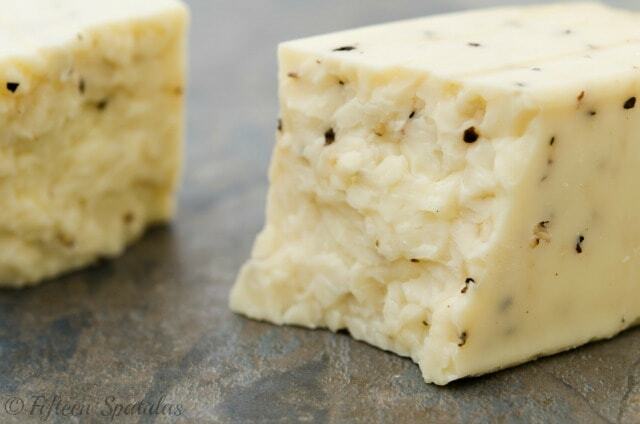 It has some great ideas for Cracker Barrel cheese pairings for upcoming Memorial Day parties! Have fun, eat plenty, and be merry! Disclosure: I’m proud to be a brand ambassador for Cracker Barrel cheese. I have been enjoying their cheese for many years, and I truly love their products! I admire the consistent flavor and quality of their product (they have been using the same starter culture since they founded the brand in 1954), and they have rightfully earned many awards for their perfectly crafted, cave-aged cheeses. Wine tasting is a lot of fun, and I love specialty cheeses. I will absoutely have to experiment on my own now. Your guide is a great way to get started. I love learning new things! Thank you Crystal! 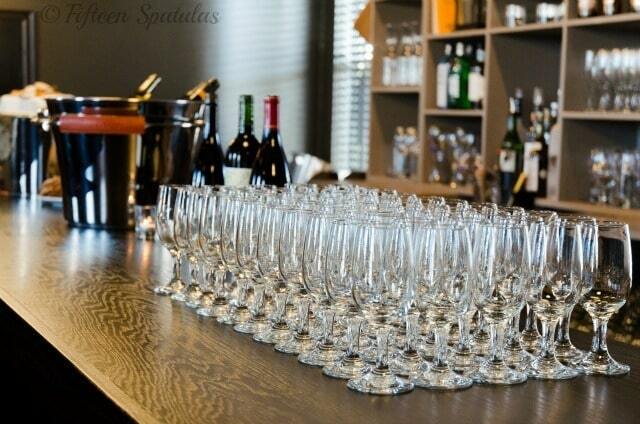 I love tastings too…so great to compare and contrast the many different flavors in food and drink. Happy cooking! That’s really cool how you can tell so much about a cheese without tasting it! Fabulous pictures and great post! What a clever post. I’ve done wine and cheese pairing at a winery but you definitely made sense.